Welcome to my Stampin' Up! blog. 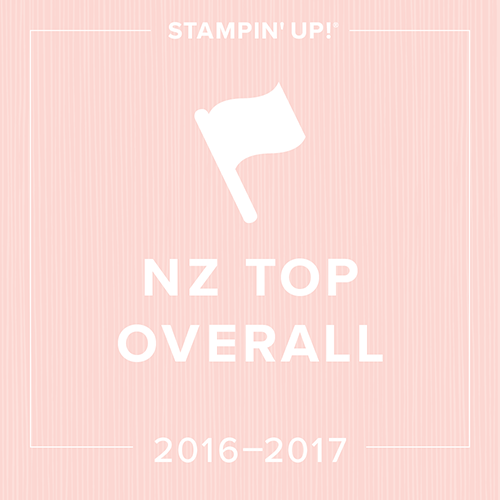 Today's post is my application to be an onstage stamper in April 2017 (NZ). If you'd like to join me at this demonstrator event please contact me. It's a super fun day with loads of laughs, inspiration and crafting. My first share uses the new Sale-a-bration set 'Hey, Chick'. I created this card for the Creative Inkers Team swap in December. A watercoloured fairy from 'Fairy Celebration'. 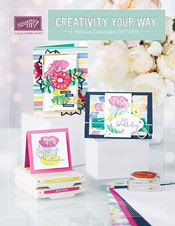 I have used some new products from the Occasions Catalogue, which is hot off the press. On the box I have: Cupcakes and Carousels DSP, Dragonfly thinlet, and the background copper embossed dots and sentiment are from the 'Dragonfly Dreams' stamp set. Inside the recipient will find a set of three notecards using the very sweet bumblebee, (also from the Dragonfly Dreams stamp set), three decorated mini tic-tac packs and a co-ordinating note pad. Check out the super 'Hexagons Dynamic Textured Embossing Folder'. It really is something else! How perfect is it for that sweet bee!!!! The stitched dies should be available again really soon. They are a must have in my opinion. Our eldest turned ten in December and this was his 'card in a box'. 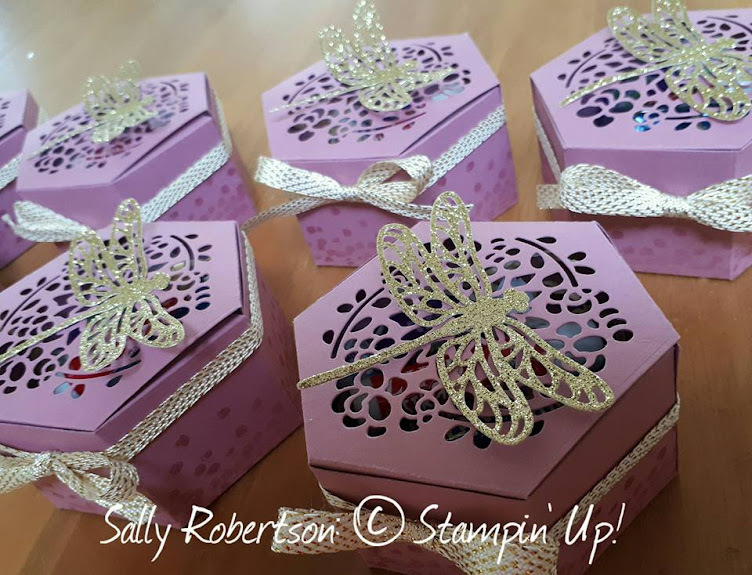 I was delighted that Stampin' Up! produced the 'Beetles and Bugs' stamp set as it's totally up his alley. It also features in the new '2017 Occasions Catalogue'. As I compiled my application it saw me reminiscing about my time last year as a display stamper. It was not an overly easy time for me as my Nana-in-law became very ill down in Dunedin. It was a bit touch and go as to whether I could make on-stage at all. What touched me and sticks with me is the support I received from fellow onstage stamper Delys Cram, who messaged me every other day, asking about Nana. In addition Emma Parkin-Wilson (NZ manager) was very supportive through this time. Thanks again ladies for your kindness at this time. This is the true heart of Stampin' Up! Happy New Year and thank you so much for visiting today.